Straight men, stop reading now. You're not going to understand any of this and honestly, it's just better if you don't endure and then come at me with a billion question. 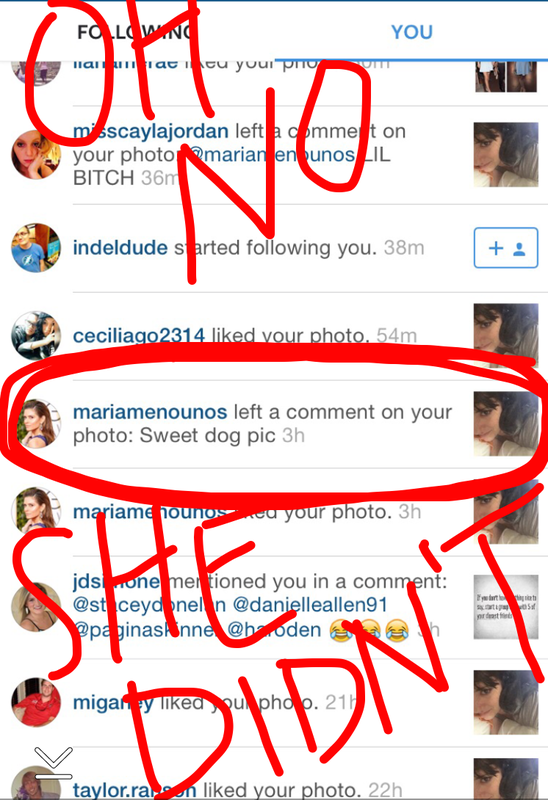 Last week, I engaged in an actual Instagram war with Maria Menounos and I'm still mad as hell. First: Who is Maria Menounos? She hosts a bunch of entertainment news shows, but most recently, she took over at E! News when Giuliana Rancic left. Second: Hmm, interesting, I guess? 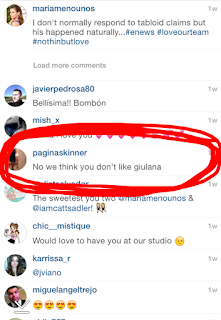 Yes, because Maria and Giuliana allegedly don't like each other. I'm team G.
So here's how it went down. 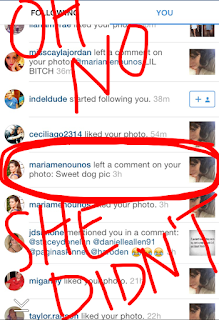 I'm scrolling through Instagram and for some reason unknown to God and everyone, I'm following Maria Menounos. She posted this video. Why this video is interesting/stupid is because there are zero rumors out there that Maria doesn't like Catt Sadler or Jason Kennedy. 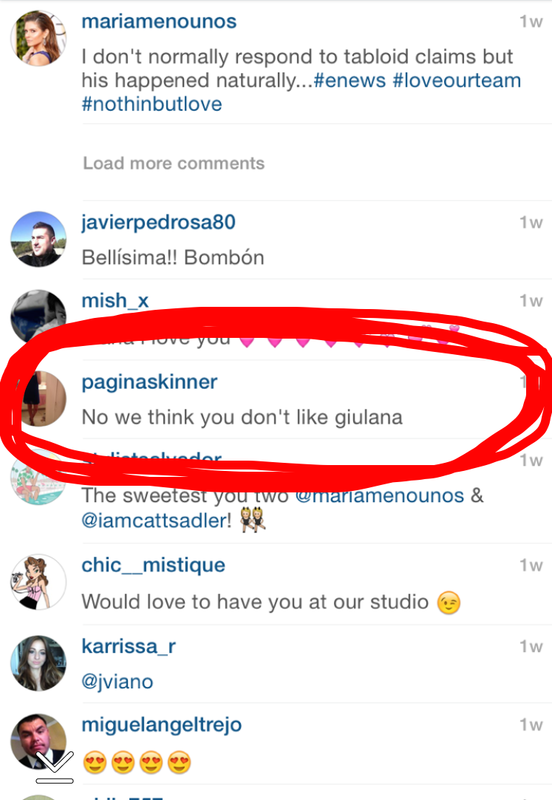 The rumors are about how she and G don't get along and how Maria was gunning for G's job at E! I leave Instagram and get on with my day because I'm a professional. Then I don't know how much longer, I get on Instagram again. I never get on Instagram. This is not me bragging. I'm on Twitter every second, but never on Instagram. You could go and slander my name all over Instagram and it would take me four weeks to see it. I don't have notifications on my phone either. So a few hours later, when I was uploading a pic where I dressed like Tay Swift, I see Maria EFFING Menounos commented on my picture of Winston and me. This could go one of two ways. She could have meant it like oh, sweet dog pic, or she could have meant it like oh, sweet dog pic. Do you hear the difference? Are you reading this blog correctly? This is why I need a podcast. But, seriously, do you understand? I'm mad as hell and I will never watch E! News again, mainly because I don't have cable but also because I dislike Maria Menounos.